Kendall-Grundy Community Action (KGCA) provides a variety of services to residents of both Kendall and Grundy counties. Our programs offer assistance to income-eligible families to obtain the opportunities needed to encourage self-sufficiency. The funding is provided by Illinois Department of Commerce and Economic Opportunity (DCEO), Illinois Department of Health Care and Family Services. KGCA constantly strives to meet the changing demands and needs of the growing community. Monday-Friday 8 a.m. 4 p.m.
For some families, energy expenses can mean sacrificing certain necessities which can be very stressful. LIHEAP is designed to help income-eligible households pay for winter and/ or summer energy services. You may be eligible to receive assistance under LIHEAP if your household’s income is at or below 150% of the Federal Poverty guidelines. The Low Income Home Energy Assistance Program provides a one-time benefit to eligible households. All payments are made directly to the applicable vendor (Direct Vendor Payment or referred to as “DVP”). The payment amount is based on four criteria: income, household size, fuel type and geographic location. • Starting mid- October: LIHEAP accept application for applicants with an elderly household member (age 60 or older), or a legally disabled household member. • Starting in November: Program will be available for households with children under the age of 6 years old. Applications will be taken for households whose service has been disconnected from their primary or secondary energy sources. • Starting in December: All income- eligible households will be able to apply for the program till the end of May or until the funds have been exhausted, whichever comes first. ComEd CARE Energy Assistance programs offer the Residential Special Hardship Fund for households in need. This grant is provided by ComEd and it assist beyond other programs to address special cases. Eligible residential customers can apply for the grant through The Illinois Association of Community Action Agencies (IACAA) member Local Administering Agency (LAA). Individual’s special circumstances, including severity of the hardship, will be considered by ComEd. To be eligible you must be active ComEd residential customer with household incomes up to 250% of poverty level, who can identify a hardship issue and demonstrate the need. A hardship must have occurred within a timely period. Priority will be given to those customers meeting the following hardship criteria: Medical Hardship, Military Hardship, Senior Hardship, Disability Hardship, Loss of Employment or Unexpected Loss of income, Family Crisis, Property Damage, Victimized by Criminal Activity, and Subsidized Housing. NiCor Gas “Sharing” Program is funded by The Salvation Army. To be eligible for Sharing, you must be a residential heating customer of Nicor with a payment due and you must be ineligible for state energy assistance program (LIHEAP). The applicant must meet current guideline (Gross Monthly Income) above 150% but not exceeding 250% of the federally established poverty level. Eligible residential customers can apply for the grant through The Illinois Association of Community Action Agencies (IACAA) member Local Administering Agency (LAA). Weatherization Assistance Program is designed to help low-income eligible Kendall and Grundy counties residents to save fuel, ensure safety and increase the comfort of their homes. Material and labor are free of charge to qualified homeowners. There may be a waiting list based on a first come-first serve basis. The agency’s technicians will conduct a professional energy audit of the home. Depending on the circumstances and condition of the dwelling, the repairs may vary: air sealing, attic and wall insulation, health and safety checks, and furnace repair or replacements and special attention will be given to major appliances to insure proper drafting and fuel line safety. Once the assessment is complete, licensed and insured contractors that have been pre-approved by the agency will be assigned to apply the appropriate measures. The contractors are OSHA and Lead certified. To be eligible for the program, households must be at or below 150 percent of the federal poverty guidelines, eligible for the Low Income Home Energy Assistance Program (LIHEAP), or have an occupant receiving Supplemental Security Income (SSI), Temporary Assistance for Needy Families (TANF), or Aid to Aged Blind and Disabled (AABD). For more information or to apply, please call Kendall-Grundy Community Action (815)941-3262, ext 2. One of common barriers to maintain employment is affordable transportation. Drive to Success is designed to help low income residents who are currently employed obtain reliable transportation for employment purposes. All expenses are paid directly to the repair shop. The applicant household has to be at or below 125% poverty level. Your application will be reviewed and you will be notified within one month of your status. You may need to be placed on a waiting list if funding is not available. This program assists eligible clients to obtain/maintain employment with such items as daycare costs, transportation, and work supplies. Clients must be currently employed or proof of an offer is needed. All expenses are paid directly to vendors. There will be no cash payments. Employment support is one-time assistance per household. The applicant household has to be at or below 125% poverty level. The Kendall-Grundy scholarship program awards scholarships annually to clients to aid them in obtaining formal education or occupational training from an accredited Illinois educational institution. Scholarships may be used for tuition and fees, textbooks, supplies or room and/or board. Scholarship awards will be made directly to the college or university’s financial aid office. All qualified applicants are encouraged to apply in February of each year and the deadline is in mid April. Successful applicants will accept their scholarship awards at the Awards Dinner in June. Helping Hand for School program assists eligible parents to purchase their child’s prescription glasses (ages 3 to 18 years old). The applicant household must be at or below 125% poverty level. All expenses are paid directly to vendor (maximum amount up to $150.00). No contact lenses. Emergency Service Program provides intake and referrals to low income persons in crisis situations to have their emergency needs ameliorated. Kendall-Grundy Community Action provides access to needed resources through comprehensive outreach, information and referral services. This program is a one-time service provided to people whose utilities have been disconnected or have received disconnection notice from an energy sources because of non-payment. The assistance is only provided to households that have made an effort to maintain their services and maybe required to pay a portion of the reconnection amount. LIHEAP furnace program is available for homeowners to receive furnace repairs or replacement if your heating system is inoperable or determined to be unsafe by fuel vendor. 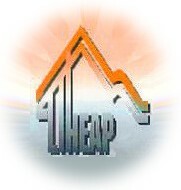 You must qualify for LIHEAP assistance. Summer Cooling Program- is available based on State funding. Through the Summer Energy Assistance Program, qualified households may be eligible for assistance in the form of a one-time payment sent directly to their electricity provider. Household’s eligible for this assistance includes: elderly age 60 and older, those with medical conditions that requires cooling, member receiving social security disability benefits, or those with children under the age of 6 years old.